Landscapes for Richter aims to create artificial landscapes through a multimedia approach finished with a photograph. The works are based on Tyvek construction sheets, which I fold to create ridges and valleys in the material. I then spray watered-down acrylic paint over the sheets in layers, allowing the paint to flow over the Tyvek naturally, creating the patterns shown in the final piece. Photography provides the opportunity to make the scene appear truly as a landscape. 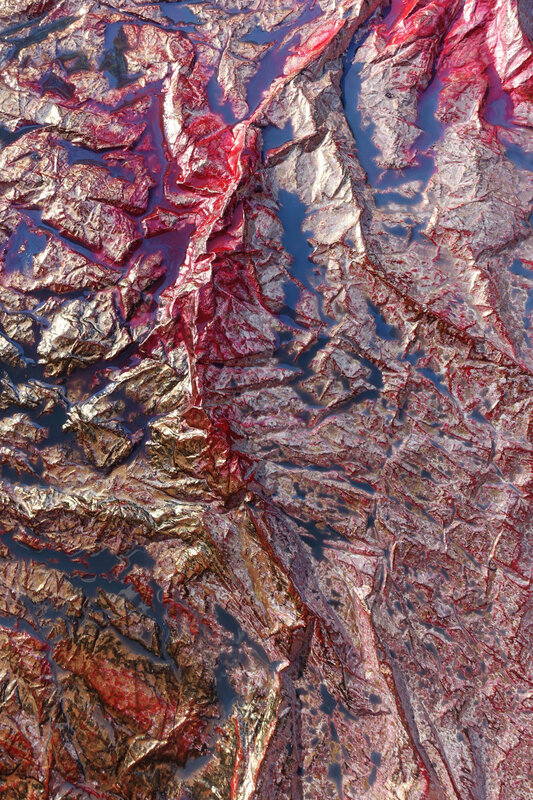 Each photograph reveals a detail of the overall scene, mimicking aerial photography. This ultimately serves as a means to contrast other themes I have researched where the camera and photographic image act as a distraction from true natural space. In this case, I am creating a new, artificial space that can really only be presented through the photograph.